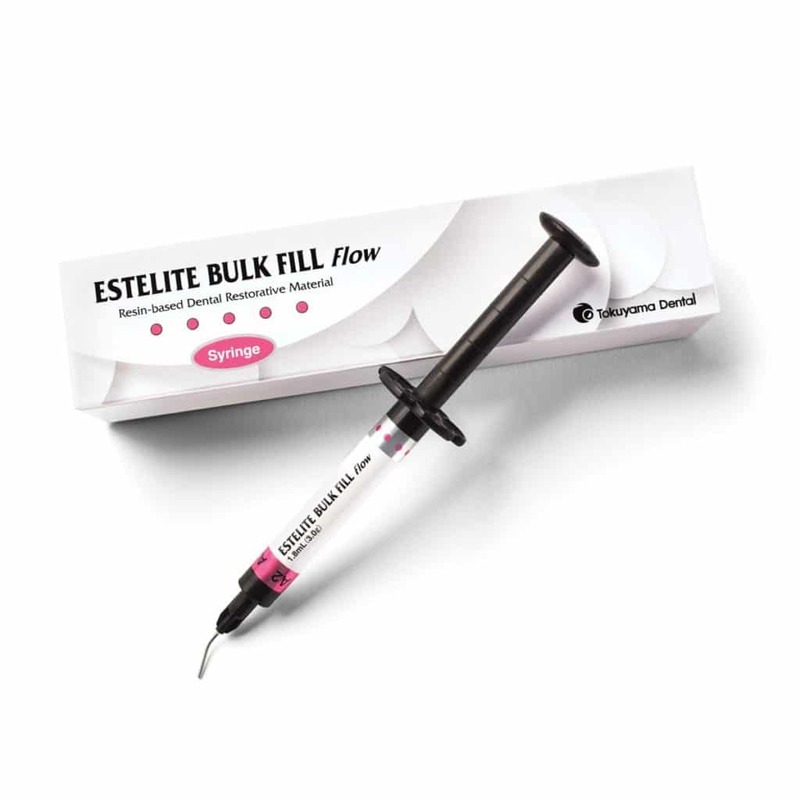 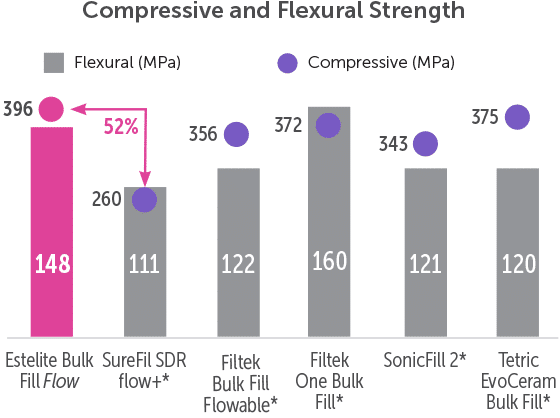 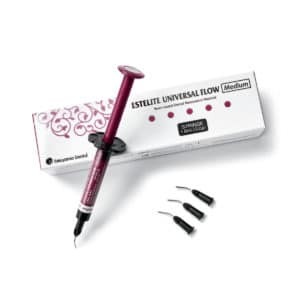 Estelite Bulk Fill Flow is a light-cured, flowable bulk fill composite that utilizes spherical filler technology (70% by weight/ 56% by volume) to deliver simpler restorations with superior final results – no additional layers or composites needed up to 4mm. 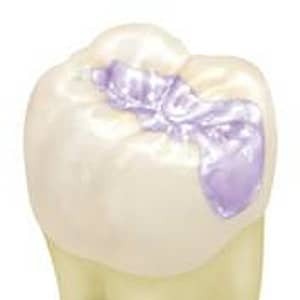 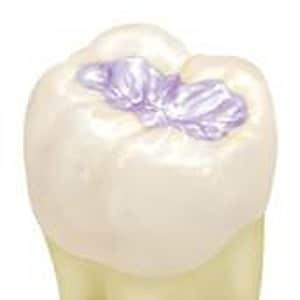 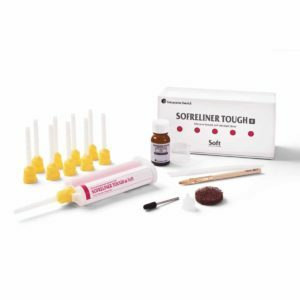 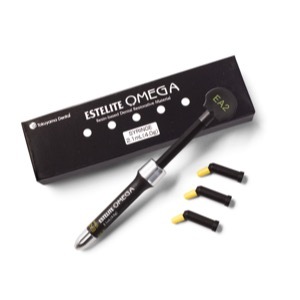 Higher shade, opacity, and glossiness offer greater esthetics, while higher compressive and flexural strength, higher wear resistance, lower shrinkage stress, and excellent cavity adaptation provide worry-free restorations that last. 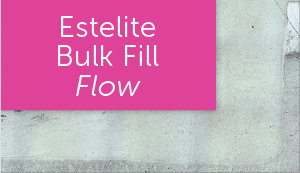 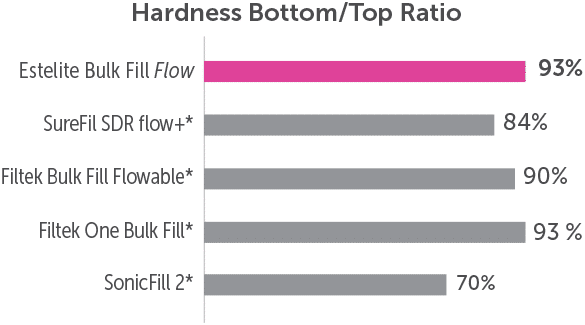 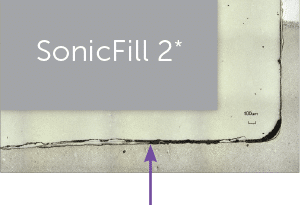 Just how much faster is Estelite Bulk Fill Flow? 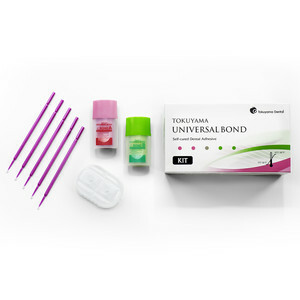 Developed over 25 years ago by Tokuyama’s Research & Development Team in Japan, Estelite’s spherical filler particles have won numerous awards for delivering superior benefits to Dentists and patients alike. 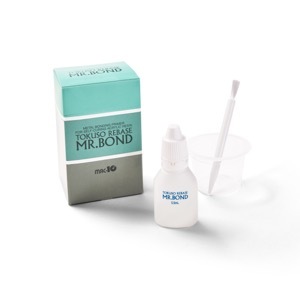 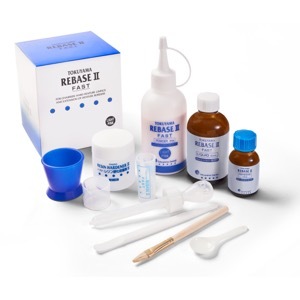 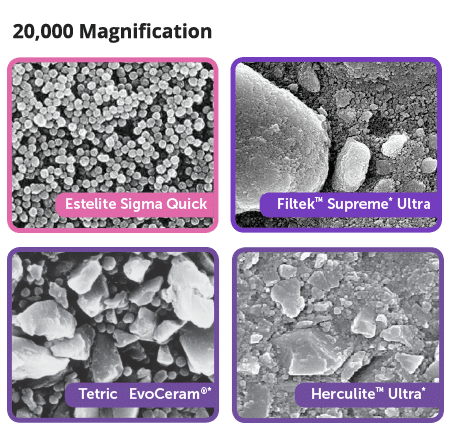 With an average particle size of 200 nanometers (supra-nano), the spherical filler particles are the foundation to delivering simple, lasting and beautiful results. Other dental composite brands contain irregular shaped sized fillers, which interfere with polishability, shade blendability, and longevity. 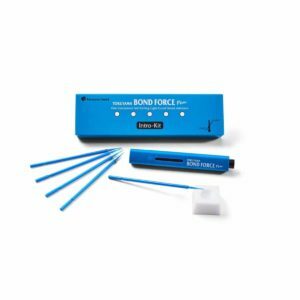 However, as a result of the revolutionary spherical filler technology, Estelite dental composites exhibit exceptional esthetics while maintaining excellent physical properties, a signature feature of Tokuyama Dental’s composites. 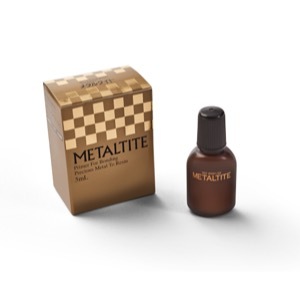 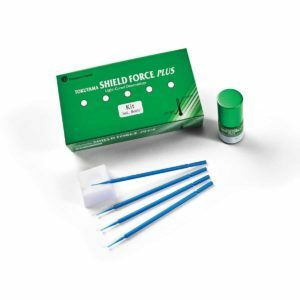 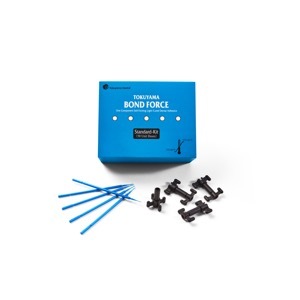 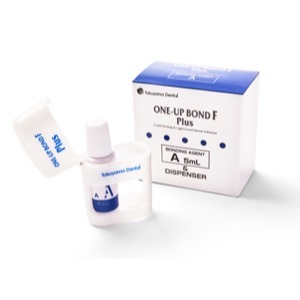 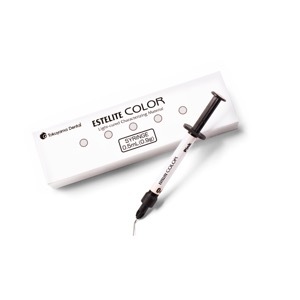 For lighter shades or cervical enamel restorations. 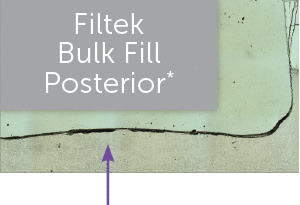 For restorations deeper than 4mm: U shade can be used as a bulk fill base liner. 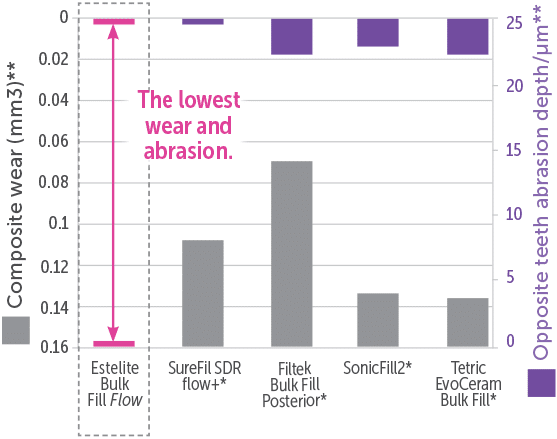 Another layer of Estelite Bulk Fill Flow should be placed to finish the restoration. 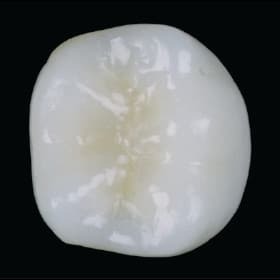 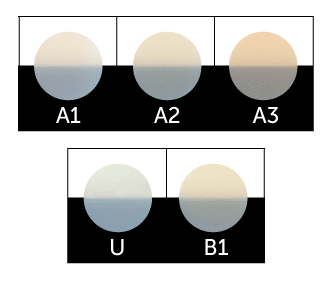 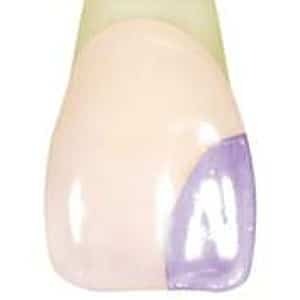 5 shades with superior color matching ability blend across a range of different tooth shades, delivering a unique “Chameleon” effect. 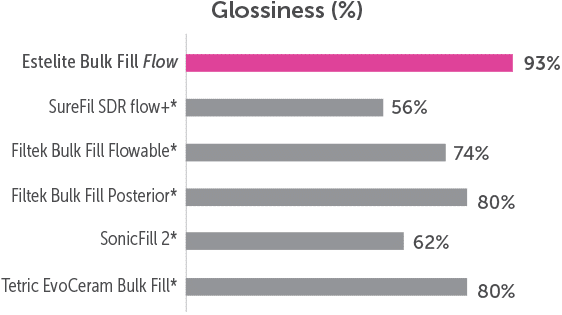 Estelite Bulk Fill Flow reaches over 90% glossiness in only 60 seconds of polishing, providing a long-lasting glossiness for years to come. 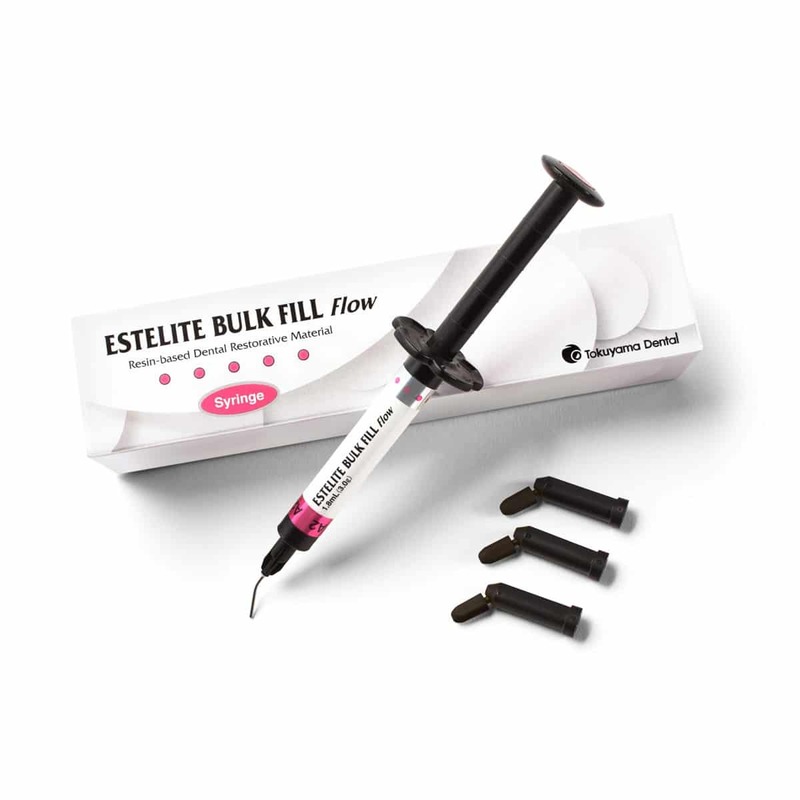 The innovative formula in Estelite Bulk Fill Flow makes it more esthetic and stronger than other brands, no capping layer needed. 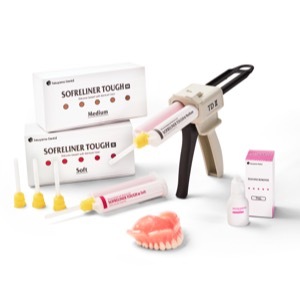 Fill up to 4mm with no additional equipment or composites. 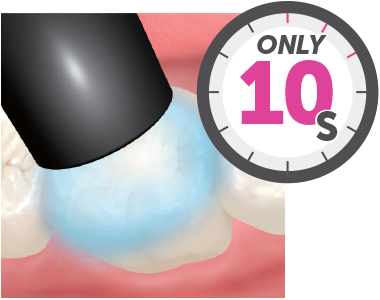 10 seconds curing is all you need to deliver a beautiful and strong restoration for years to come. 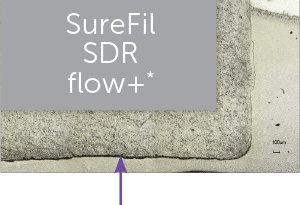 Estelite Bulk Fill Flow easily adapts to the cavity, flowing into the nooks and crannies, providing an excellent marginal seal and preventing restoration failure. 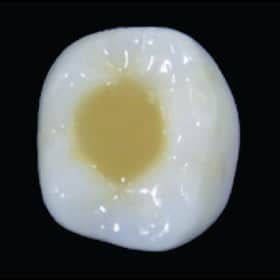 *Marginal failure, gaps, and voids were common in other tested brands. 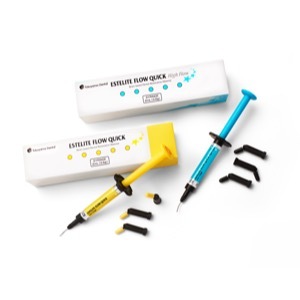 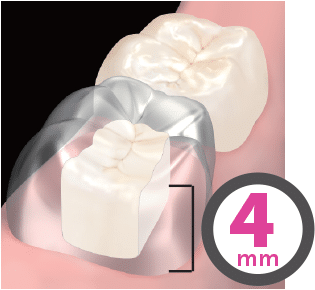 Thanks to its high translucency at placement, Estelite Bulk Fill Flow cures all the way to the bottom of a 4mm deep restoration in only 10 seconds. 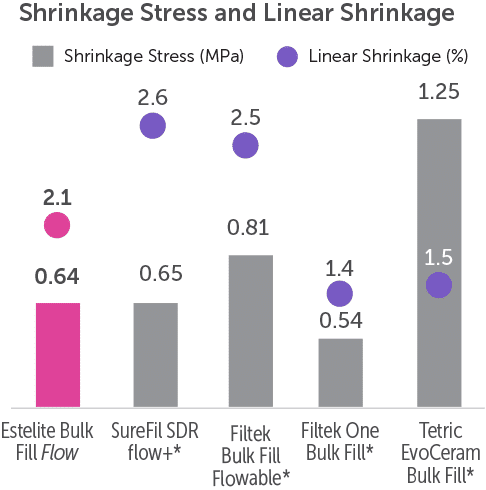 The spherical fillers used in Estelite Bulk Fill Flow reduce shrinkage stress and linear shrinkage to a minimum. 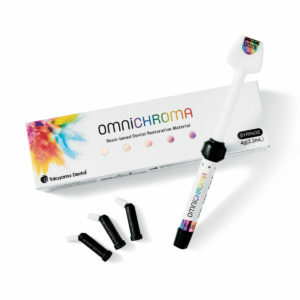 Formulated to let patients bite with confidence. 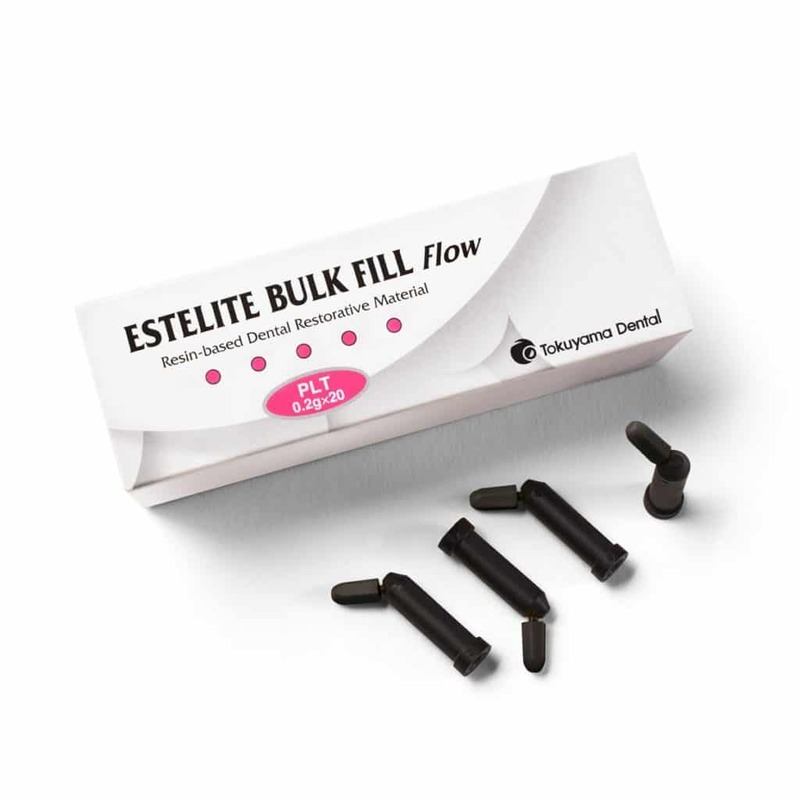 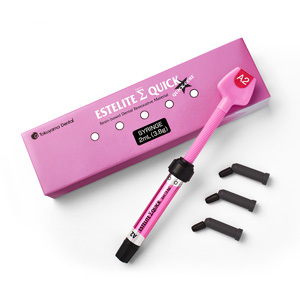 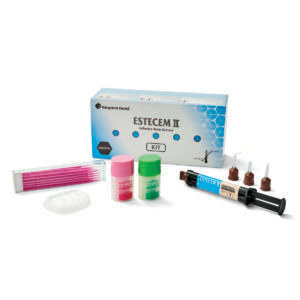 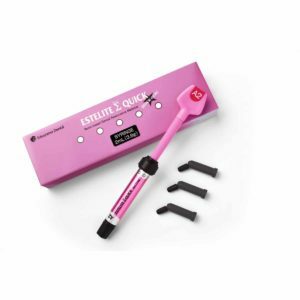 Estelite Bulk Fill Flow highly resists abrasion and wear for long-lasting posterior restorations. 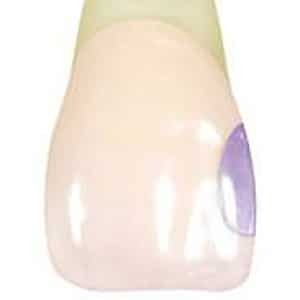 MSRP: $77.79Prices may vary depending on dealer. 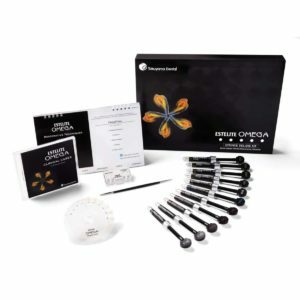 MSRP: $94.90Prices may vary depending on dealer.